Based and headquartered in Newcastle upon Tyne, Newcastle United football club is one of the most popular and interesting clubs in English football. A member of the English Premier League, Newcastle United FC is also know by several nicknames, including most popularly The Magpies and The Toon. This football club was founded in 1892 with the merger of two already established local clubs called Newcastle West End and Newcastle East End (Hence Newcastle United). 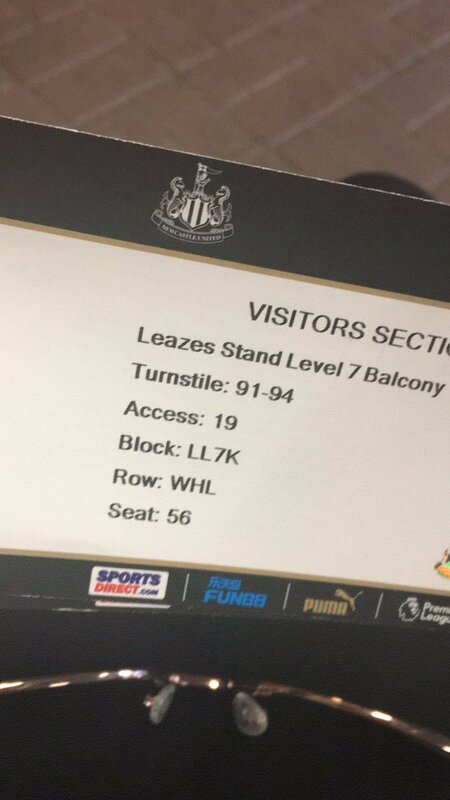 Ever since the beginning of their long history, Newcastle has played at a place called St. James' Park. This football club is very popular and much-followed in the avid world of English football. Newcastle are possibly the biggest team in the north east. 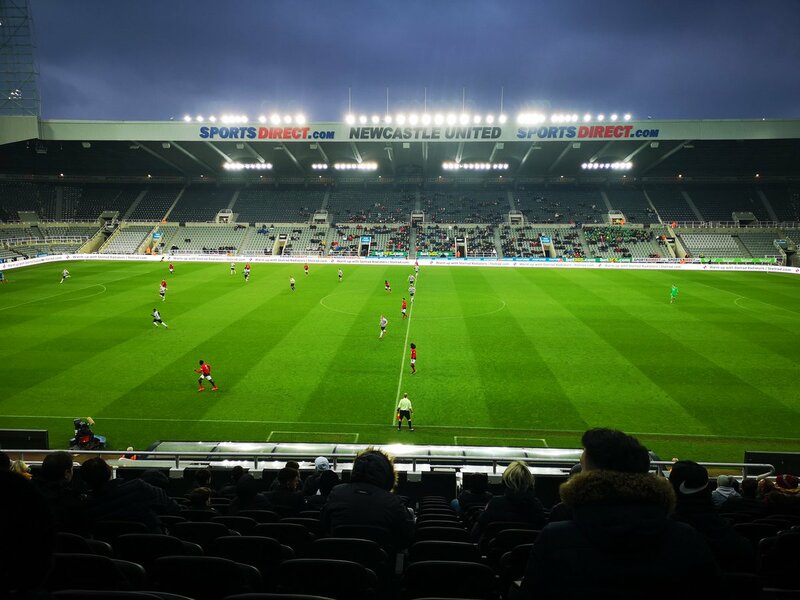 The biggest rivalry for Newcastle is definitely and famously with Sunderland, when in the same league the two teams face off every year in a very popular and exciting match called the Tyne-Wear Derby. The most avid fans of The Magpies have dubbed themselves the Toon Army. Newcastle United have won many trophies and cups over its history including the FA Cup, the Texaco Cup, the Kirin Cup and the Anglo-Italian cup. Early on in its history, Newcastle United FC also won several League Championships, as well. These were all won during the early 1900s, however. The fourth and last time they won the League Championship was in 1927. Newcastle United also managed to win the FA Cup three times during the 1950s. They managed to become quite popular and were at their strongest during this period of their storied history. Over the next couple of decades, they had a strong, reliable team and performed quite well over the years. The Toon Army must have been quite pleased with their beloved football club, there are plenty of fans still living on past glories. Although they managed back to back victories for the Texaco Cup in 1974 and 1975, Newcastle then had quite a slump in the ensuing years. In fact, at the beginning of the 1980s, Newcastle had been relegated and stuck in the Second Division for some time (Equivalent to the Championship these days). With a new management team and some key new players, the team picked things up in 1982 and performed quite well until the year 1989, when they were relegated once again. Between 1992 and 1994, Newcastle United really began an impressive comeback of sorts under the leadership of Toon idol Kevin Keegan. In fact, during this period of time they were promoted to the Premier League. In the 1995 to 1996 season, the team nearly won the Premier League after a major rebuilding effort. Even with all of the ups and downs of its fascinating history, Newcastle United Football Club has consistently remained one of England's most enduring and popular teams. Considering how popular football is in the United Kingdom, this is really saying something. Newcastle United will be sure to continue entertaining and fascinating their fans, and the Toon Army, for many more years to come. No matter who owns Newcastle it seems to be a given that their loyal supporters will follow ? they?re not called the best fans in England for no reason! Newcastle are always an entertaining watch but because of their position in the Premier League they don't get as much TV coverage as some other teams. Luckily there are plenty of ways of watching Newcastle United live online! 90'+6' - Thats all. Game finished - Leicester City 0, Newcastle United 1. 90'+6' - Second Half ended - Leicester City 0, Newcastle United 1. 90'+4' - Offside - Leicester City. Kasper Schmeichel with a pass, however Kelechi Iheanacho is in offside. 90'+4' - James Maddison - Leicester City - won a free kick in defence. 90'+3' - New attacking attempt. Harry Maguire - Leicester City - shot with the head from the centre of the box is saved in the left corner. Assist - Marc Albrighton with a cross. 89' - Youri Tielemans - Leicester City - won a free kick in defence. 88' - Christian Atsu - Newcastle United - won a free kick in defence. 88' - Missed chance. Kelechi Iheanacho - Leicester City - shot with the head from the centre of the box missed to the left. Assist - Marc Albrighton with a cross after corner. 88' - Corner - Leicester City. Conceded by Jamaal Lascelles. 85' - New attacking attempt. Kelechi Iheanacho - Leicester City - shot with the head from the centre of the box is saved in the right corner. Assist - Marc Albrighton with a cross. 82' - Substitution - Newcastle United. Mohamed Diamé for Ki Sung-yueng. 80' - Substitution - Leicester City. Marc Albrighton for Harvey Barnes. 79' - Missed chance. Jamie Vardy - Leicester City - shot with left foot from the centre of the box goes high. Assist - Youri Tielemans with a through ball. 78' - Substitution - Newcastle United. Christian Atsu for Miguel Almirón. 77' - Javier Manquillo - Newcastle United - receive yellow card for a foul. 77' - Ricardo Pereira - Leicester City - won a free kick on the right wing. 76' - New attacking attempt. Ayoze Pérez - Newcastle United - shot with right foot from the right side of the six yard box is saved in the right corner. 75' - Missed chance. James Maddison - Leicester City - shot with right foot from outside the box is high and wide to the right from a free kick. 74' - Fabian Schär - Newcastle United - receive yellow card for a foul. 73' - Harry Maguire - Leicester City - won a free kick in attack. 73' - Corner - Leicester City. Conceded by Fabian Schär. 72' - Substitution - Leicester City. Nampalys Mendy for Wilfred Ndidi. 72' - Substitution - Leicester City. Kelechi Iheanacho for Demarai Gray. 68' - Kasper Schmeichel - Leicester City - receive yellow card. 68' - Delay in match Matt Ritchie - Newcastle United - - injury. 68' - Offside - Newcastle United. Ayoze Pérez with a pass, however Salomón Rondón is in offside. 66' - Missed chance. Harvey Barnes - Leicester City - with an attempt from the centre of the box missed. Assist - Ben Chilwell with a cross. 63' - Ki Sung-yueng - Newcastle United - receive yellow card for a foul. 63' - James Maddison - Leicester City - won a free kick in attack. 62' - Shot blocked. Youri Tielemans - Leicester City - shot with right foot from outside the box is blocked. Assist - Harvey Barnes. 60' - Harvey Barnes - Leicester City - won a free kick on the left wing. 59' - Missed chance. Miguel Almirón - Newcastle United - shot with left foot from the left side of the box is high and wide to the left. Assist - Fabian Schär. 57' - Ki Sung-yueng - Newcastle United - won a free kick in attack. 55' - Youri Tielemans - Leicester City - won a free kick in defence. 53' - Delay in match Fabian Schär - Newcastle United - - injury. 53' - Shot blocked. Miguel Almirón - Newcastle United - shot with left foot from the left side of the box is blocked. Assist - Salomón Rondón. 52' - Missed chance. Ayoze Pérez - Newcastle United - shot with right foot from the centre of the box missed. Assist - Salomón Rondón with a cross. 51' - Corner - Newcastle United. Conceded by Wes Morgan. 50' - Missed chance. Wilfred Ndidi - Leicester City - shot with left foot from outside the box goes high. Assist - Demarai Gray. 47' - Ayoze Pérez - Newcastle United - won a free kick in attack. 45' - Second Half starts Leicester City 0, Newcastle United 1. 45'+3' - First Half ended - Leicester City 0, Newcastle United 1. 45'+1' - Paul Dummett - Newcastle United - won a free kick on the left wing. 44' - James Maddison - Leicester City - won a free kick on the left wing. 41' - Delay in match Ki Sung-yueng - Newcastle United - - injury. 41' - Youri Tielemans - Leicester City - receive yellow card for a foul. 41' - Ki Sung-yueng - Newcastle United - won a free kick in defence. 39' - Offside - Leicester City. Ben Chilwell with a pass, however Jamie Vardy is in offside. 35' - New attacking attempt. Miguel Almirón - Newcastle United - shot with left foot from the left side of the box is saved in the left corner. 32' - GOAL!!! Leicester City 0, Newcastle United 1. Ayoze Pérez - Newcastle United - header inside of six yard box - left side to the top right corner. Assist - Matt Ritchie with a cross. 31' - Offside - Leicester City. James Maddison with a pass, however Jamie Vardy is in offside. 30' - Missed chance. Salomón Rondón - Newcastle United - shot with right foot from more than 35 yards missed. Assist - Isaac Hayden. 28' - New attacking attempt. Harvey Barnes - Leicester City - shot with left foot from the left side of the box is saved in the left corner. Assist - Wilfred Ndidi. 25' - Missed chance. Isaac Hayden - Newcastle United - shot with right foot from outside the box is high and wide to the right. 25' - New attacking attempt. Miguel Almirón - Newcastle United - shot with left foot from the centre of the box is saved in the left corner. Assist - Ayoze Pérez. 23' - Corner - Newcastle United. Conceded by Wes Morgan. 21' - New attacking attempt. Ben Chilwell - Leicester City - shot with right foot from the centre of the box is saved by goalkeeper in the centre of the goal. Assist - James Maddison. 19' - Offside - Newcastle United. Matt Ritchie with a pass, however Miguel Almirón is in offside. 16' - Offside - Newcastle United. Fabian Schär with a pass, however Salomón Rondón is in offside. 15' - Salomón Rondón - Newcastle United - hits the bar with a shot with right foot from outside the box from a free kick. 14' - Ayoze Pérez - Newcastle United - won a free kick in attack. 13' - Missed chance. Harvey Barnes - Leicester City - shot with right foot from the left side of the box is high and wide to the right. Assist - Ben Chilwell. 10' - Offside - Newcastle United. Fabian Schär with a pass, however Javier Manquillo is in offside. 7' - Youri Tielemans - Leicester City - won a free kick in defence. 2' - New attacking attempt. Jamie Vardy - Leicester City - shot with right foot from the centre of the box is saved in the left corner. Assist - Harvey Barnes with a cross. 2' - New attacking attempt. Jamaal Lascelles - Newcastle United - shot with the head from the centre of the box is saved by goalkeeper in the centre of the goal. Assist - Ki Sung-yueng with a cross. 1' - Corner - Newcastle United. Conceded by Ben Chilwell.